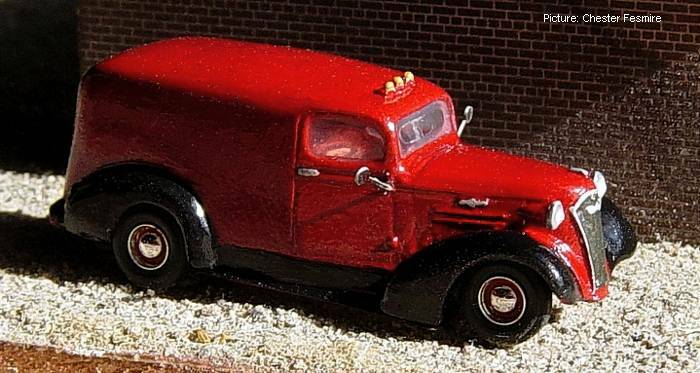 Sylvan Scale models '37 Chevrolet Mapleleaf converted to a panel truck by mating it to a '39 Ford rear from a Greg's Garage model. 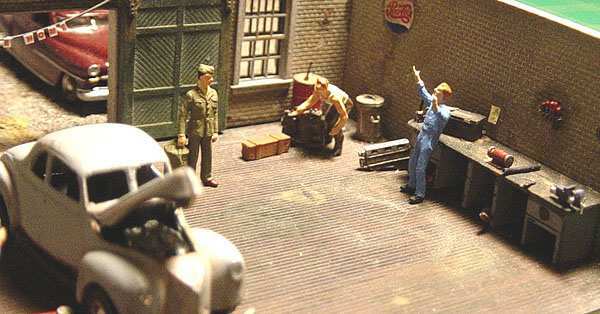 Chester's entries for the 1/87 Vehicle Club's 2004 Holiday Model Contest, the diorama pictured above won the Special Prize for the First Entry Received. 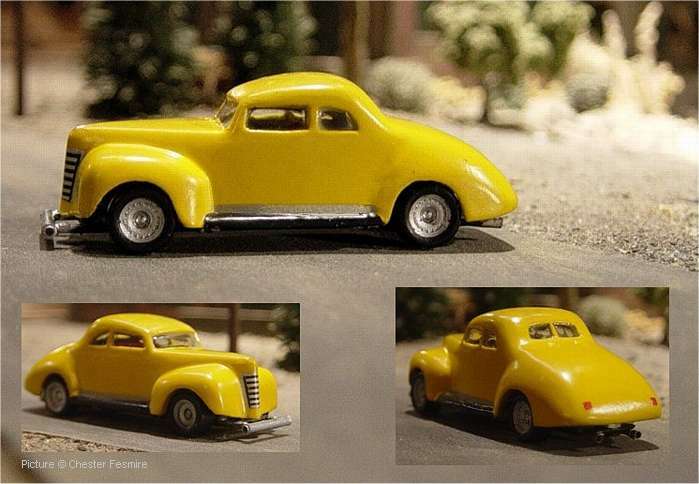 Sylvan Scale Models '37 Coupe (Chevy) painted in automotive lacquer with tires from the Herpa sport wheels package fitted on the Sylvan wheels. This is a picture of a blue Mt. 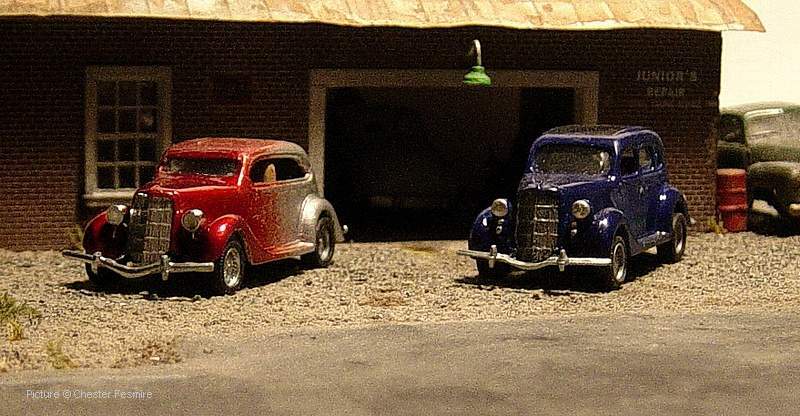 States 1935 Ford 4 dr. along with a resin casting from that model (of unknown maker) that I chopped roof and lowered and put a set of Herpa sport wheels on. The paint is Alcad 2 brushed aluminum with transparent red front end that I simply let overspray. Headlights are from a Busch rescue light set. 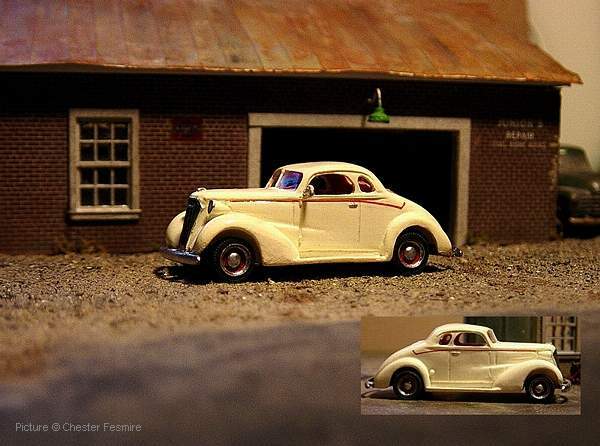 Resin cast '39 Ford Coupe with Monogram wheels and grill and taillights made of decals. 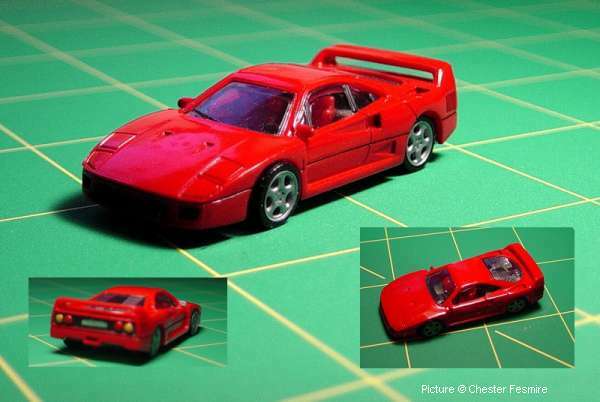 Monogram Mini Exacts Ferrari F-40, painted with automotive lacquer, with detailed interior and Herpa sport wheels. 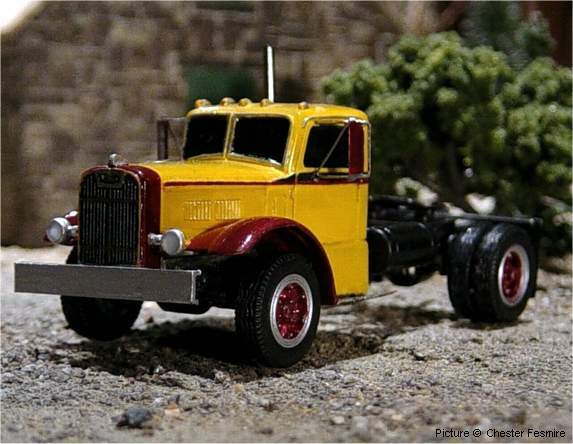 Autocar C100 (Sheepscot Scale Products kit with suspension from Alloy Forms). 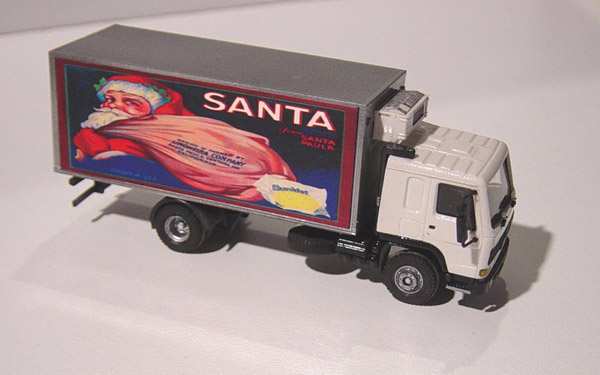 Roco Zis 5 (no changes but the paint).